BUILT IN THE PHILIPPINES, BY FILIPINOS, FOR FILIPINOS. 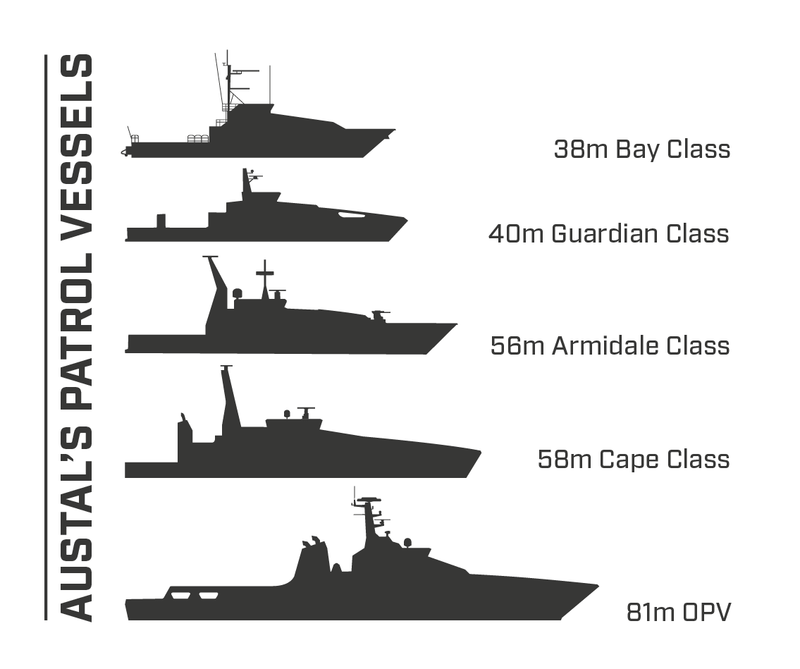 Austal’s OPV design for the Philippine Navy is based on a proven platform that has demonstrated success operating in tropical environments and conducting border patrol and maritime operations. The proposed design incorporates 20 years of product improvement and evolution beginning with the 'Bay Class' first delivered in 1999. The Philippine Navy OPV is a steel hulled vessel featuring an aviation deck enabling helicopter and unmanned aeronautical systems missions. 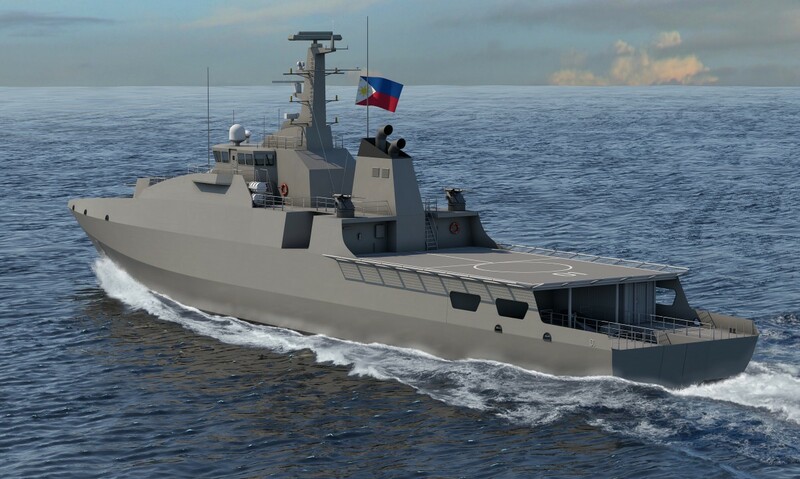 A design delivering the required capability and flexibility to meet future operational needs of the Philippine Navy. The OPV is arranged with a starboard boat deck and stern well for the safe and rapid launch and recovery of RHIBs. The vessel is fitted with a mission bay and aft storage area to facilitate the embarkation of containerised mission modules. Provide humanitarian assistance and disaster relief. A 3D animation of the Austal designed Philippine Navy OPV can be viewed here.